We are an online review site dedicated to bringing you honest and detailed reviews on a wide range of ergonomic products. Founded in 1995, our team of experts, including orthopedists, chiropractors and physical therapists have been evaluating home and office products for their value in improving and maintaining the health of their users. Over the past two decades, there have been significant achievements in the area of office furniture. As we have transitioned into a society of desk-based occupations, people have become more mindful of the health issues that have arisen due to office lifestyles. Designers have responded in kind. Kneeling chairs have recently become one of the most popular office furniture pieces. They’re valued for their innovative design, which provides you added relief for the lower spine. The increased angle between your upper and lower bodies gives more space to your hip area, which is directly connected to the lower vertebrae of the spine. You will feel the difference right away. In addition, kneeling chairs are designed to encourage proper posture. The absence of a high back rest, requires the sitter to sit upright, with the vertebrae stack upon each other. This position is easier on the muscles of the spine and ensures a health posture that will preserve the integrity of your spine. Ball chairs have been adapted from exercise balls, also known as Swiss or yoga balls. This chair offers you many benefits – Like with the kneeling chair, you’ll automatically come into perfect vertical posture. The lack of a back rest, discourages slouching and reclining. 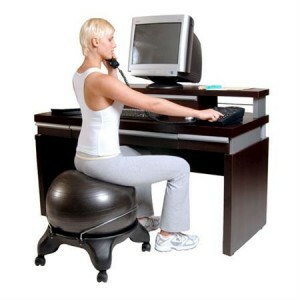 In addition, sitting on a ball chair requires balance in 360 degrees of rotation. This yields the additional benefit of strengthening the core muscle groups, including your abdominals, obliques, and lumbar. You’ll be able to get a work out while you work. This product can be used by people in all ages. 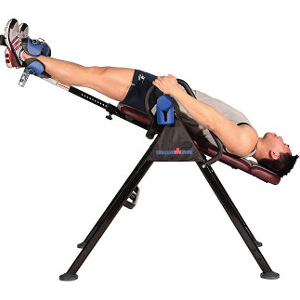 Inversion tables are an effective form of therapy for those with back pain. Under the constant pressure due to gravity, the spine bears a heavy burden. Over time, the spinal vertebrae begin to compress the interverterbal discs. This effects in extremely painful injuries such as bulging discs and herniation. Inversion tables have been clinically shown to treat these injuries and relieve back pain. With your felt held securely, the table allows you to rotate to varying degrees of inversion. You’ll feel a soothing full-body stretch from your ankles to the top of your spine. Not only does this feel great, but is effective in treating chronic back pain. Standing desks are a recent craze in the modern workspace. After a string of recent news articles linked prolonged sitting to an increase in risk for many health problems, even going as far as to put it at the same level as smoking, standing desks have been popping up all over the place. A standing desk may provide several benefits for its users, but the biggest advantage are the health advantages, keeping you moving and alert throughout the day. 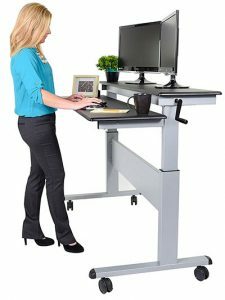 Standing desks often allow you to set different heights, even switching between a standing and sitting mode, so you can use whichever is most comfortable at the time. 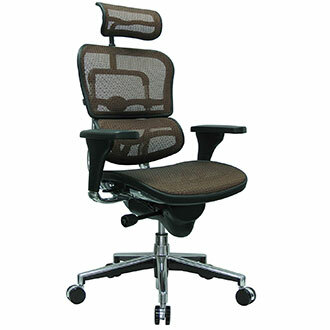 An ergonomic chair is one of the most important things to consider, whether you spend an hour, or ten at your desk. Prolonged sitting has been linked to a number of health problems, and these are just exasperated by the persistence of uncomfortable, non-ergonomic chairs that scatter our work environments. An ergonomic chair will provide your body with the support it needs in the areas that are most critical. This can prevent back pains, help improve your posture, and just keep you comfortable throughout your work day. 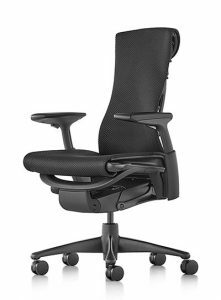 With different levels of adjustability, ensuring you fit properly in your seat, if you haven’t already, you should switch to an ergonomic chair today.